Today’s topic: Today let’s talk about changes, in one of two ways. Either tell us what you’d most like to see change about diabetes, in any way. This can be management tools, devices, medications, people’s perceptions, your own feelings – anything at all that you feel could use changing. OR reflect back on some changes you or your loved one has seen or been through since being diagnosed with diabetes. Were they expected or did they surprise you? Gosh, were do you start? I have seen so many changes over the years in terms of Joey’s development, my own development, my husbands. I know that change is inevitable, and do I wish I could keep some things the exact same, yes, but I’m realistic. The thing I wouldn’t change is how many lives Joey has touched, and changed over the course of two years that he spent as the American Diabetes Associations‘ WI Youth Ambassador. With the opportunities that Joey was afforded, he was able to reach out to kids with type 1 that felt insecure about the disease. He really took it to heart that he could make a difference in the life of a child/teen even adults with T1D. 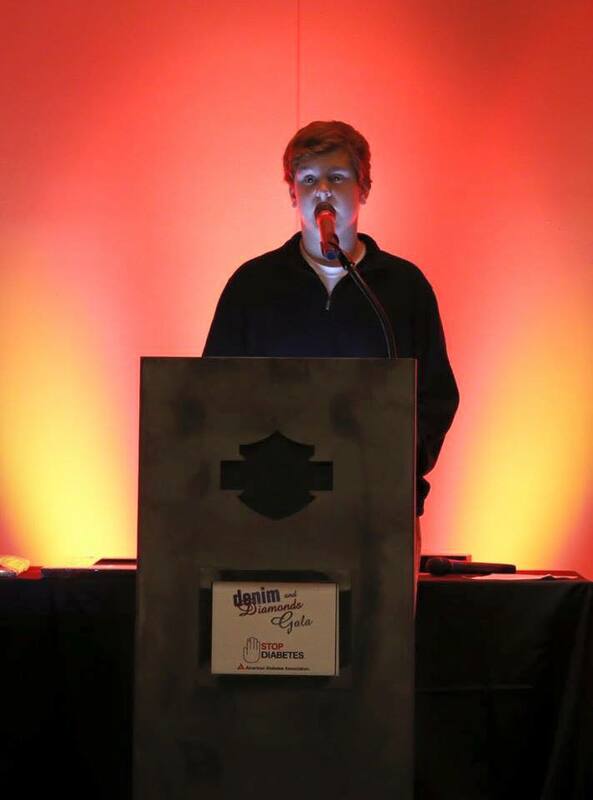 I never dreamed when he was diagnosed at age 8, that by age 12 he would make a mark on the diabetes community. As a 12 & 13 year old he spoke to thousands of people over the course of 2 years. It shouldn’t have surprised me knowing Joey’s spirit and his relentless pursuit of his own dreams. It all started when Joey was ten years old and he wanted to start playing football for our Jr. League program. His brother started in 4th grade, so why couldn’t he! I admit I was hesitant because of the type 1 diabetes. What if he went low? What if his pod came off? What if he was going to pass out, and I couldn’t see his face under the helmet. A lot of “what if’s.” Joey didn’t like my hesitation so he went to his big brother Tony for advice. 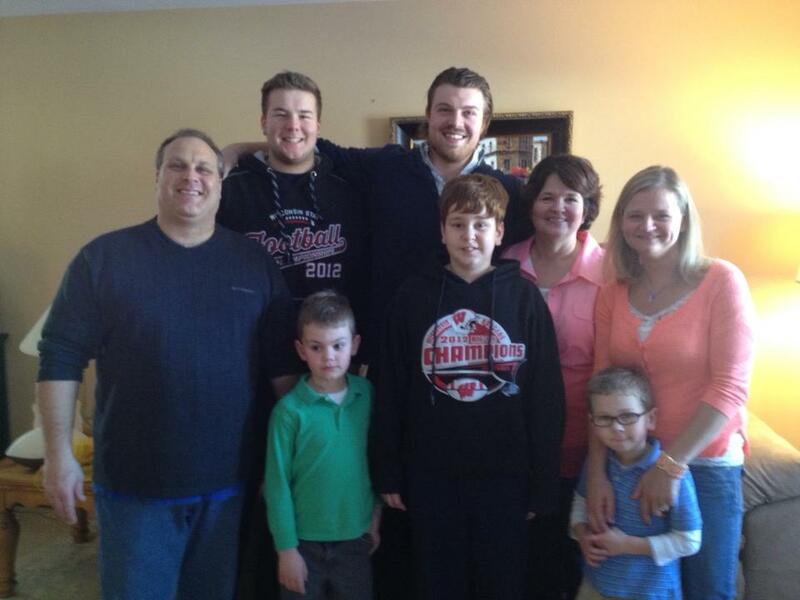 Tony said that he knew of a football player on the WI Badger’s football team who has type 1. He said, Joey, it’s basically the same, he has type 1 and plays football, just like you. The two of them set out to get me on their side. They found Jake Byrne on facebook, and messaged him. I received a phone call – from Jake! This lead to a great friendship between Jake and our family. 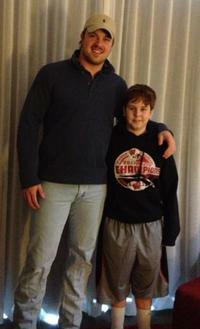 It’s so important for kids to have mentors in their life, especially in Joey’s case, mentors with type 1 diabetes. They showed Joey that you can do whatever you want, and Joey took that message to kids all over the country. Joey co-wrote a blog series on Omnipod Suite D about playing football with type 1 diabetes, his co-author was Jake. Another person who influenced Joey was Kendall Simmons. Kendall has two super-bowl rings. He showed Joey that you can overcome any obstacles in your life, but with type 1, it takes hard work and dedication. He went in front of Law Makers in our State Capitol! He was able to talk to kids, and let them know that just because they had type 1 that they weren’t different than their friends, they just have to do things a little differently. He also told kids that it’s OK to tell their friends that they have type 1, because they are going to find out eventually, and it’s not a good feeling to have secrets. We all saw the change in Joey as his role got more involved. Can you imagine a 12 year old standing in front of 250 adults at the Gala? 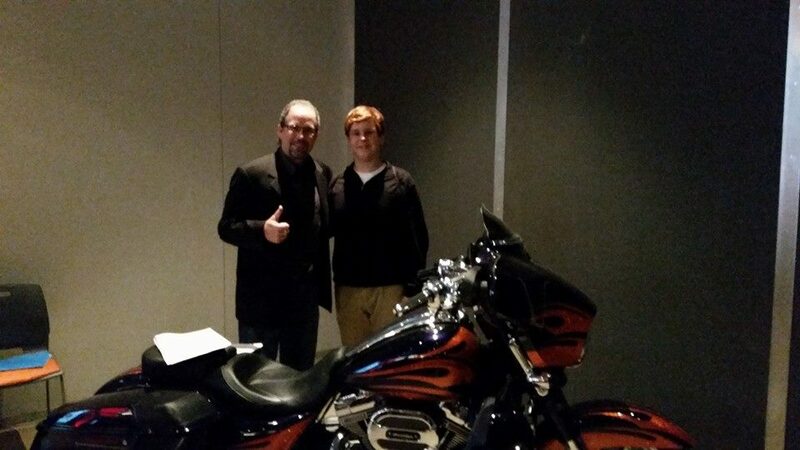 One of the adults being none other than Mr. Bill Davidson, from Harley Davidson. Joey and Bill hit it off immediately, now Joey is considering a Harley when he grows up, thanks BILL! 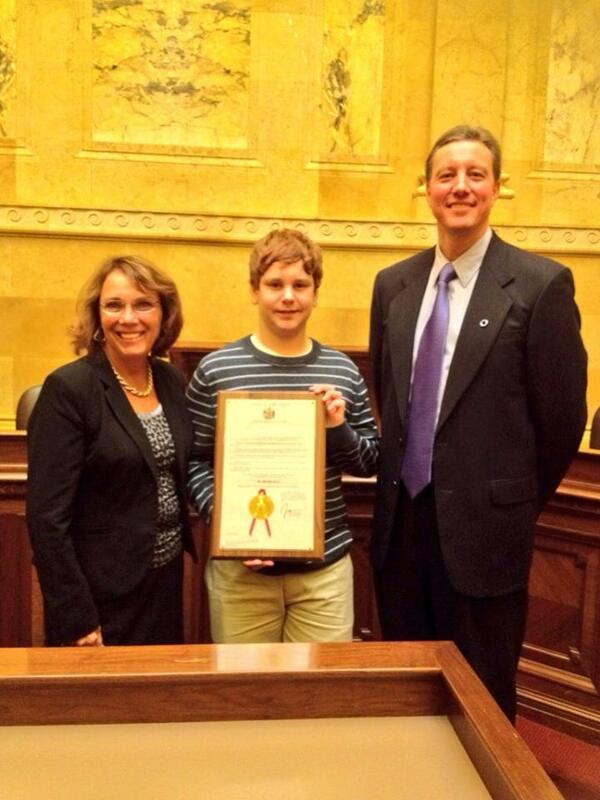 Joey at the State Capitol when the Proclamation for November 14th to be Wisconsin Diabetes Day! It was fun watching the changes that were happening to Joey, I mean what kid doesn’t change when the Local Fox TV channel comes knocking at your door, next thing you know you are being featured in a 6 minute segment on the news! Or that you have been mentioned in ESPN.com! 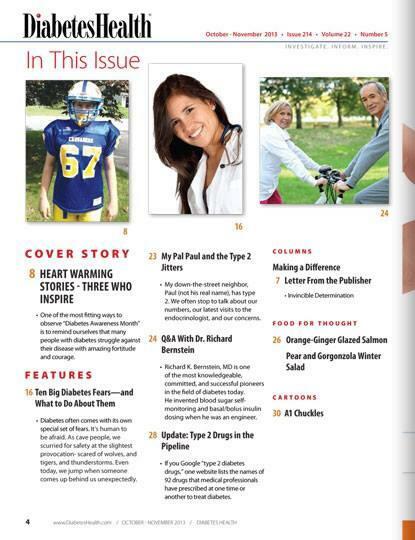 Did I mention getting a spot in Diabetes Health Magazine? What a wonderful experience, a growing, learning experience. We are so grateful! We are seeing a different change in him now that he is almost out of middle school and going to high school. He sees the bigger picture now of how diabetes affects him, when he’s high, or low, and how everything he does in terms of eating, exercise, etc, will have a long term effect on his future health. Joey also made a difference in the way people looked at type 1 diabetes. Especially in relation to the ADA. 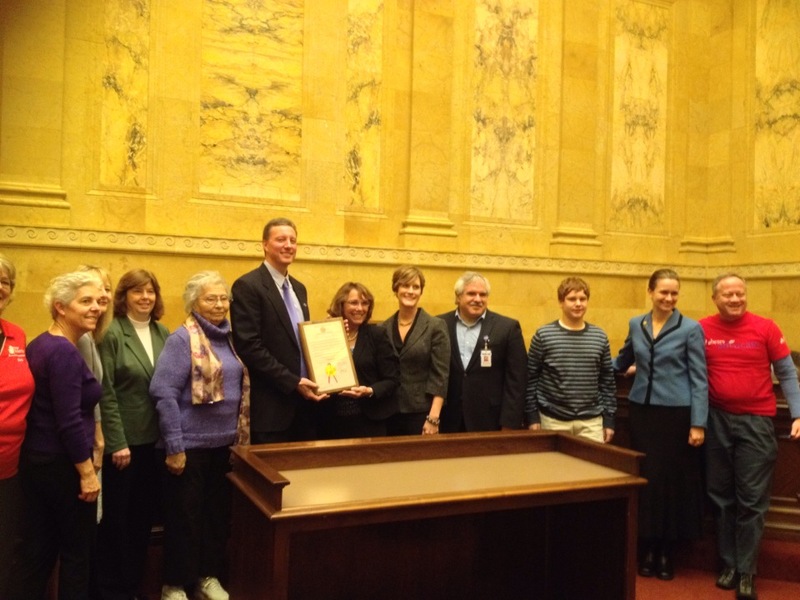 They were perceived as the organization that worked with people with type 2 diabetes. Joey changed that perception, along with the wonderful staff members who gave Joey the opportunity. We are forever grateful to them. One thing we can’t change, is that type 1 diabetes is increasing exponentially all over the world, and we need a cure. Previous Post #DBlog Week! What’s in my Closet, or in our case, Drawer.